• Creates a protective barrier on the skin • Promotes healing for sun damaged skin • Helps to reverse environmental damage to the skin •Helps to soften the look of scars, Old and New! Like so many of the great inventions of our time, Silver Shell Beauty was formed as a result of a mistake. Our chemical engineer, was working to develop a process to clean and purify water of industrial waste from Dye Plants. While a failure, the invention of Silver Chitosan Complex took a giant step forward in the evolution in Regenerative Skincare. 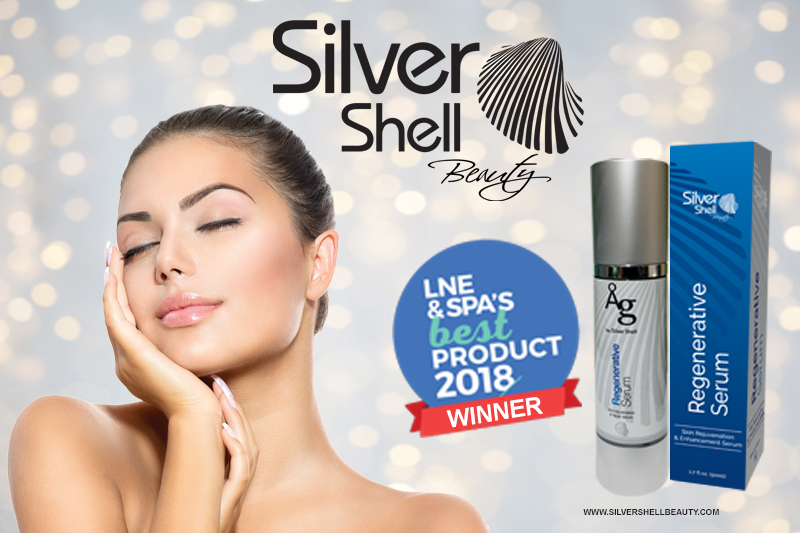 For the past few years, they have been developing the Silver Shell Beauty line of regenerative skin care products. 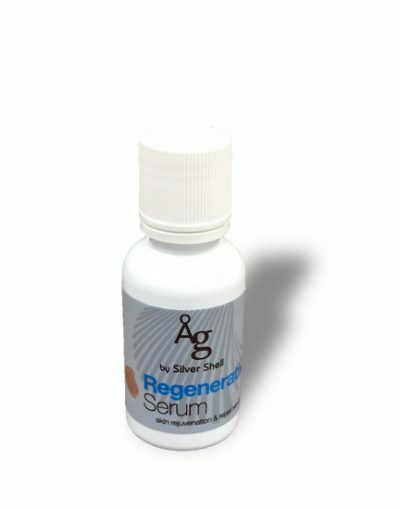 Featuring our premier Silver Shell Beauty Regenerative Serum by Argentum Solutions Inc. The science behind the Silver Shell Beauty line of Skin Care Products is Silver Chitosan Complex. 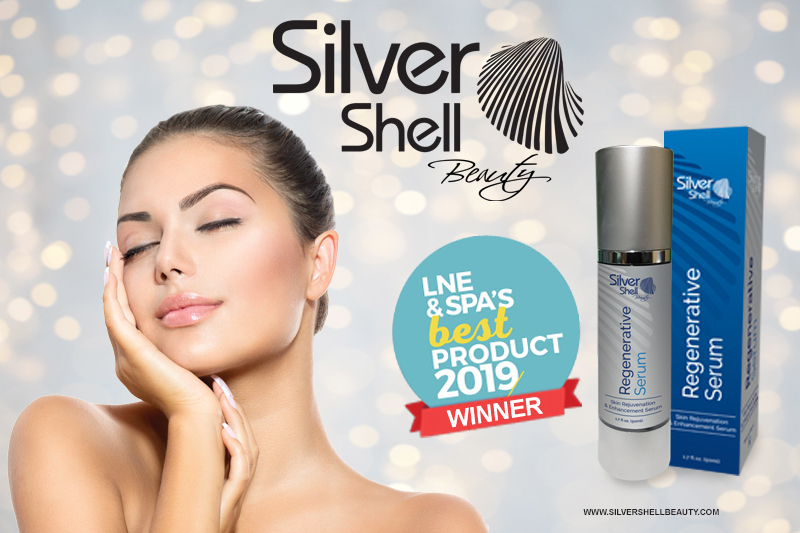 Silver Chitosan Complex combines the well-documented anti-microbial and antibacterial properties of silver with the structural polymer qualities of Chitosan which bonds to the silver and creates a latus, which promotes the regeneration of skin and excels the healing process. Our formula provides purity and rejuvenates the skin without eliminating moisture and leaves the skin feeling renewed and replenished. The all natural, cruelty-free preventative and regenerative skin care formula also brightens the skin and illuminates the face. It promotes healing of sun damaged skin, whether it’s new or past damage in a rapid period of time, as well as inhibits the impact of environmental aggressors. I won a bottle for Valentine's day from your company, I've tried many products over the last 30 years and none have worked for me. Either the job was not done or because of my sensitive skin I'd break out. This product is amazing no breaking out and I'm already seeing it heal and renew my face. Thank you for the gift and expect a new customer when my bottle is close to running out. Very happy and love my new face cream. Love this product! On my natural days, I have a healthy radiant glow. In my dramatic makeup, my face feels moisturized and my make up doesn’t move around. That is a blessing!!!! A beauty product should be versatile. I’ve used this to moisturize, prime and balance out my skin tone. I’m a huge fan and I will continue using this product. Thank you so much! Between wardrobe changes, everyday stress, the elements, and the many makeup looks I go through. THIS IS A MUST HAVE PRODUCT IN YOUR BEAUTY REGIMEN.